XL 3457 x 2304px 15 Mb. 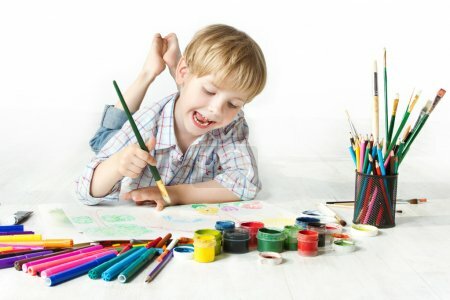 Happy cheerful child drawing with brush by multicolor paints. Creativity concept.